Readers of my blog know I am an emerging advocate of independent authors of literary fiction. 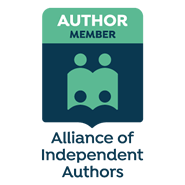 A few months ago, I published a post called Tearing Down the Wall: Why the Literary Community Should Embrace Indie Authors. In that post, I decried the resistance of the traditional literary community to independently published works of literary fiction. Well, so now that I’m done bitching about the problem, it’s time to act. So I’m about to try an experiment and I hope that independent authors of literary fiction will help by playing a role. I’m launching a survey in which my goal–my AMBITIOUS goal, I should clarify–is to publish an epic roundup post highlighting 75 independent authors of literary fiction. Why 75 authors? Why not 75? It’s certainly more than anyone will find in Amazon’s Kindle store.